Dr. Kokinias and his team are here to provide you with the professional and personalized care you need. Dr. Kokinias and his team. 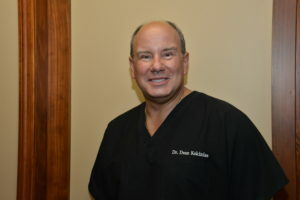 Dr. Dean Kokinias was born and raised in Chicago. He completed his undergraduate education at the University of Illinois, Champaign and then received his dental degree from the University of Illinois, Chicago in 1990. Dr. Kokinias began his clinical career in Chicago. He has been at his current location in Rockford for 22 years. He continues his pursuit of excellence by attending and participating in some of the most advanced continuing education courses available; ensuring that his patients receive the most comprehensive and advanced dental care. His philosophy focuses on providing a patient-centered dental experience blending new technology with time-proven techniques. Outside of dentistry Dr. Kokinias enjoys traveling, photography and spending time with his wife and two daughters. 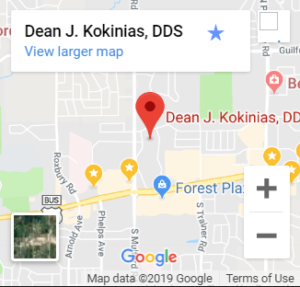 Dr. Kokinias is a member of various associations, including the American Dental Association, the Chicago Dental Society and the Winnebago County Dental Society. 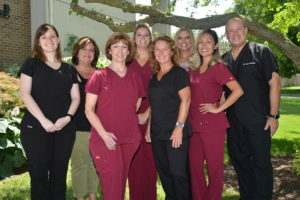 Bonnie has been working with Dr. Kokinias as a Dental Hygienist since 1999. Her career started in the United States Army as a dental assistant and advancement to dental hygienist. She liked her profession so much that she continued with it after her military service. She graduated from the University of Southern Indiana with an RDH in Dental Hygiene. Since then she has worked as a hygienist in several states with the last twenty plus years here in Rockford. 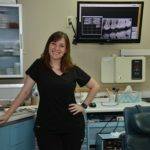 She enjoys interacting with patients, educating them on the latest developments in dental health care and just being a friend in the profession of oral health. Katie is a life-long resident of Rockford. She worked as a dental assistant for 4 years before graduating from the Rock Valley College Dental Hygiene program in 2012. She has worked with Dr. Kokinias as a registered dental hygienist since 2013. Katie and her husband have been married for 3 years. They enjoy traveling and spending time with friends and family. Tonya has been a Dental Hygienist for 25 years. She is from Cincinnati Ohio and graduated from the University of Cincinnati. Tonya has worked with the team and Dr. Kokinias since 2017.